Centre criticizes SC's interference in 5 activists arrests accused under house arrest, accused of Maoist links in Bhima Koregaon Violence. Centre says 'every case can't come here, it's wrong procedure. "Every case can't come to the Supreme Court. It is a wrong procedure. Then every case will come to the Supreme Court," the government told the Supreme Court. Reponding to that, Abhishek Manu Singhvi, a Senior lawyer appearing for petitioners, submitted to the Supreme Court that they have approached top court as they want investigation monitered by court or CBI or a NIA probe in the matter. " we have directly come to SC, as we only need a court-monitored investigation or a CBI or NIA probe, to ascertain what the case is and who is involved in it. CJI Dipak Misra observed, we are not going to any extreme propagation, but wanted to see whether the case is connected to Code of Criminal Procedure (CrPC) or article 32 of the Indian Constitution. #BhimaKoregaon case: CJI Dipak Misra observed, we are not going to any extreme propagation, but wanted to see whether the case is connected to Code of Criminal Procedure (CrPC) or article 32 of the Indian Constitution. Senior lawyer Maninder Singh appearing for Central government questioned the way the petitioners had directly approached the Supreme Court, said, "they have options to approach the lower court, high courts or even other legal options to seek redressal." Speaking on Bhima Koregaon case, CJI said the court observed, " the case is entertained on the foundations of liberty. Issues like independent enquiry, etc, comes at a later stage." The government asked the top court to allow a "competent court to hear the case as the case is pending before other courts". Singh also told the SC that the menace of Maoists and Naxalites is increasing day by day, and it is these accused persons who are responsible for the increasing threat of the anti-social activities. Maharashtra Police on August 28, in amulti-city raid of the homes of the prominent activists in several states and arrested at least five activists, of them for suspected Maoist links. 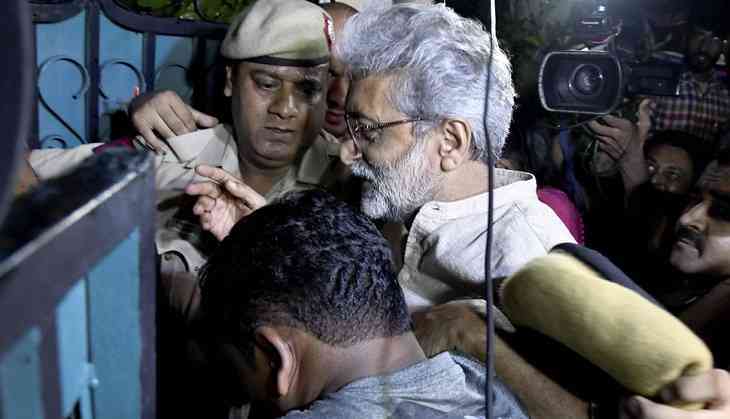 Telugu poet Varavara Rao, activists Vernon Gonzalves and Arun Ferreira, lawyer Sudha Bhardwaj and civil liberties activist Gautam Navalakha were arrested.